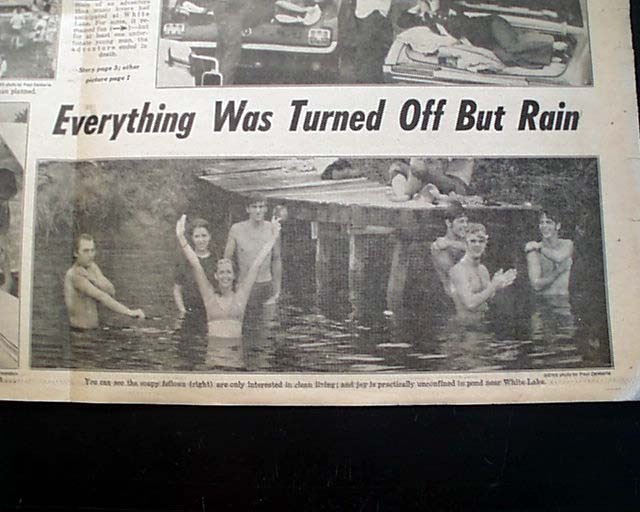 If there were a collection of newspapers which defined the counterculture movement of the 1960's, this issue must be among them. 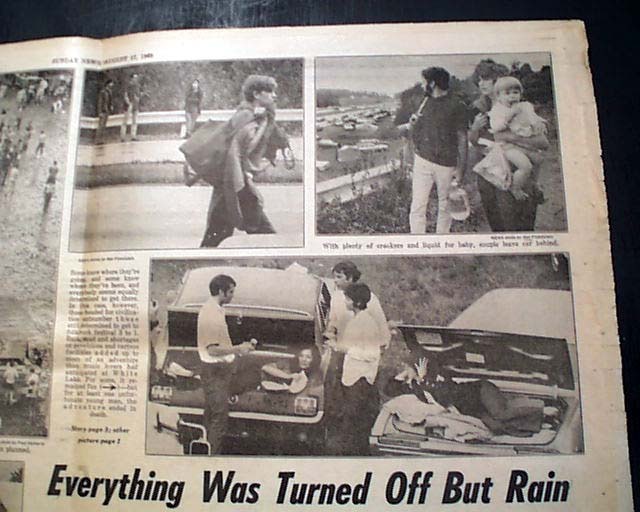 The Woodstock Music Festival, late summer of 1969, brought the turbulent decade of the '60's to a close. 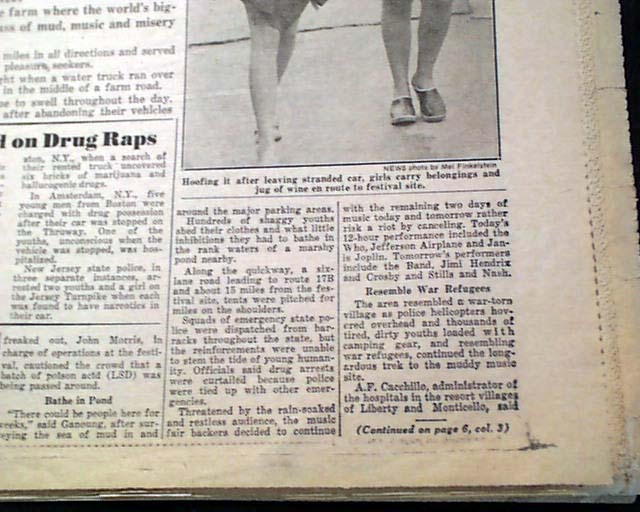 Rolling Stone magazine listed it as one of the 50 moments that changed the history of rock & roll. 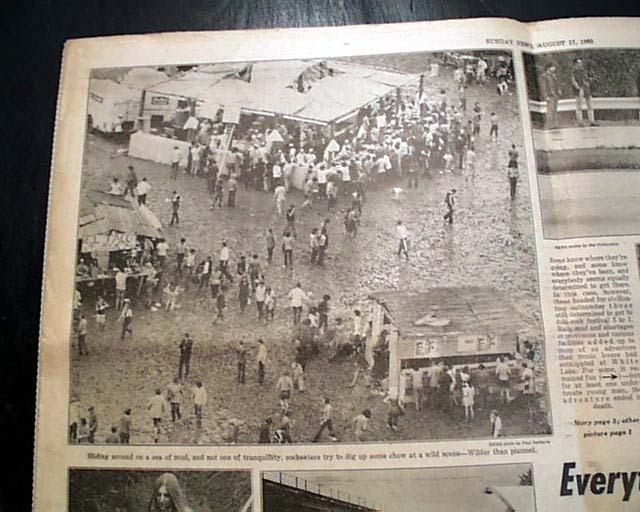 The festival still stands for many as a example of America’s 1960's youth counterculture at its best. 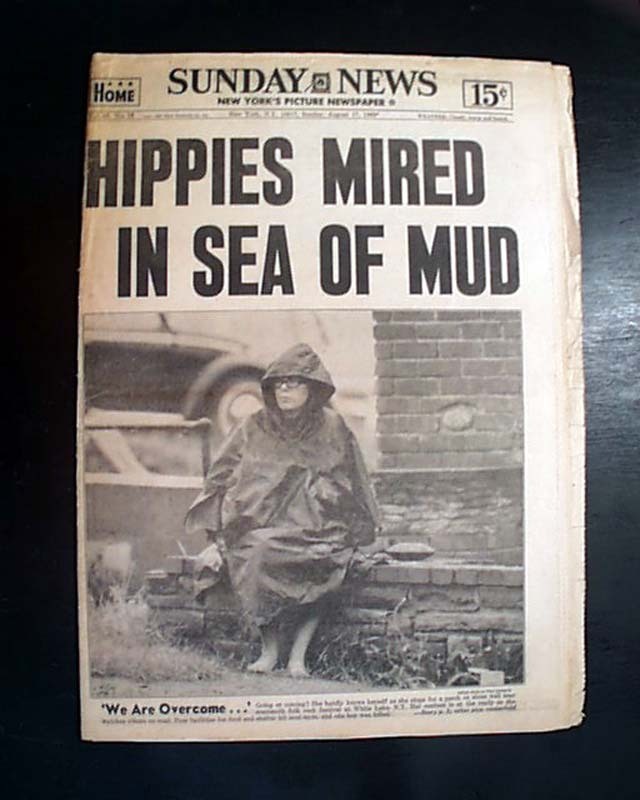 The banner headline has become one of the more notable of the era: "HIPPIES MIRED IN SEA OF MUD" with more details in the caption of the photo noting: "...She hardly knows herself as she stops for a perch on stone wall near mammoth folk rock festival at White Lake, N.Y....Poor facilities for food and shelter hit sour note...". 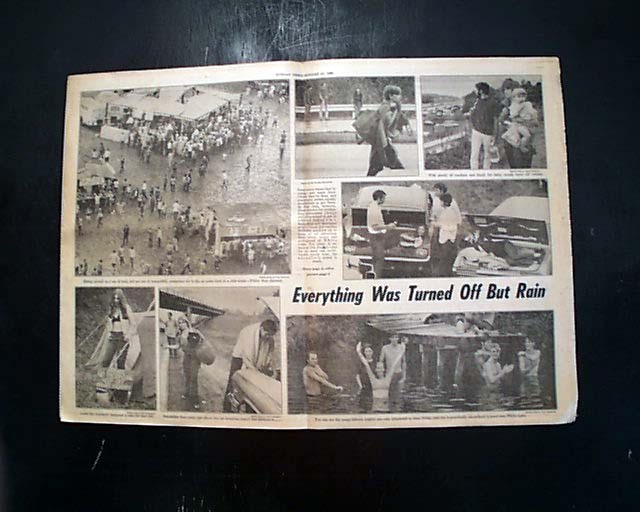 Additional reports are on page 3 with a banner head: "400,000 Mired in a Sea of Mud" and 3 photos, plus the terrific doublepage centerfold filled with 7 photos of the event, the largest a great aerial photo of the grounds. 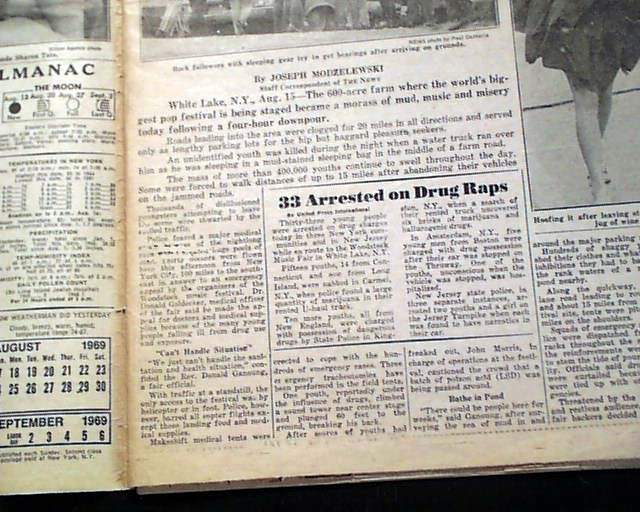 This issue also ties in two other events of the era with a pg. 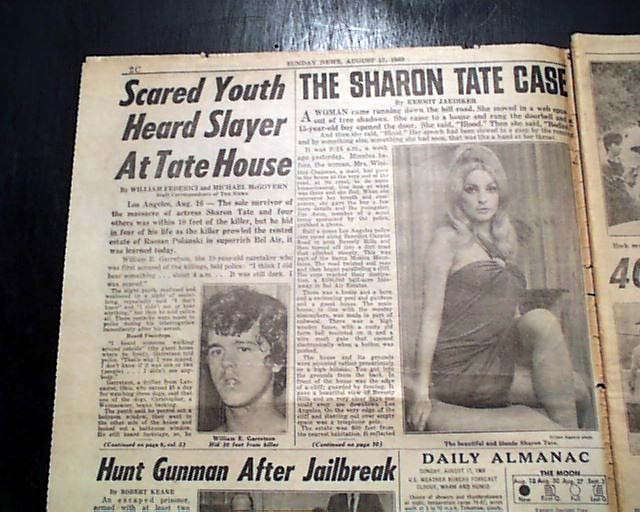 2 report: "The Sharon Tate Case" and "Scared Youth Heard Slayer At Tate House" with a photo of Sharon Tate, a victim in the Charles Manson murder spree of just one week prior. 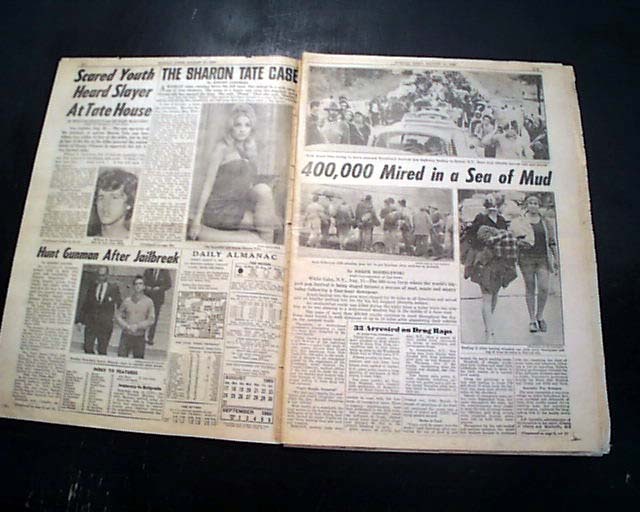 And a double page spread with heading: "The Sharon Tate Case" which includes 6 photos, one showing Sharon with Roman Polanski. 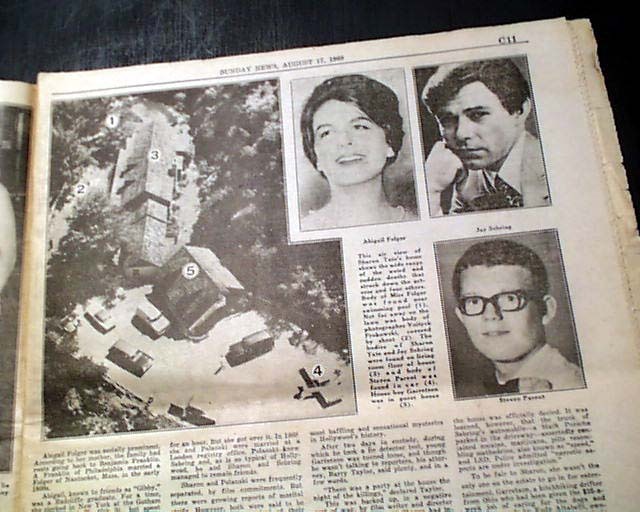 At this time it was not known who committed the murders. 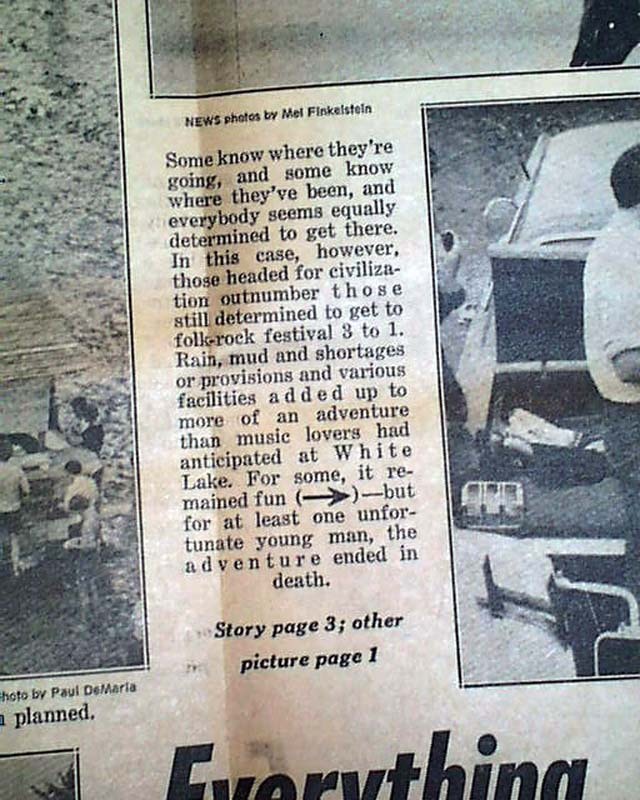 Also a pg. 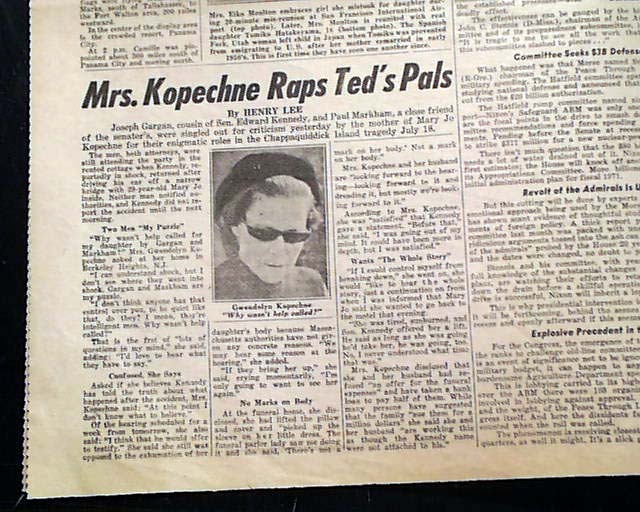 4 report: "Mrs. Kopechne Raps Ted's Pals" with a photo of Mary Jo Kopechne's mother, her daughter dying in a car driven by Ted Kennedy. 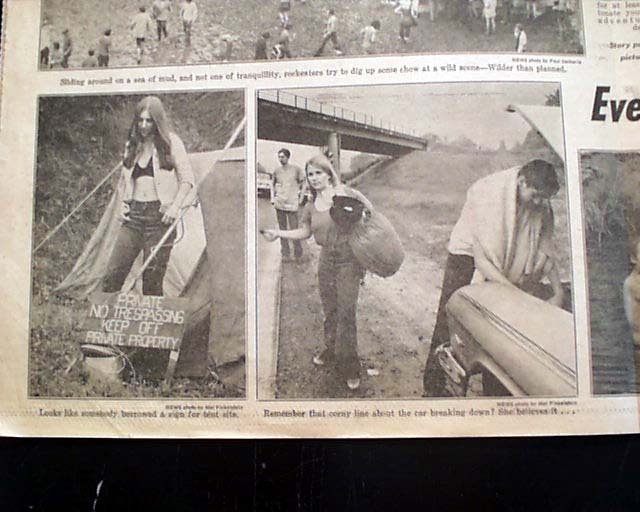 Issues reporting the Woodstock festival were rarely saved as it was not seen as "historic" at the time so few such issues exist. 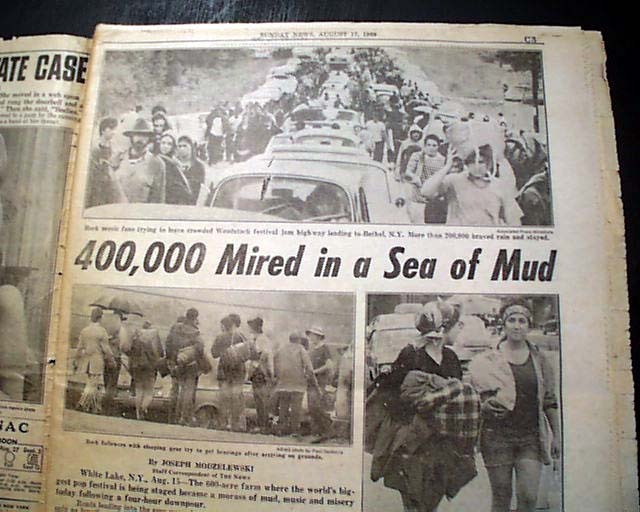 And this headline is terrific, including the word "hippies". 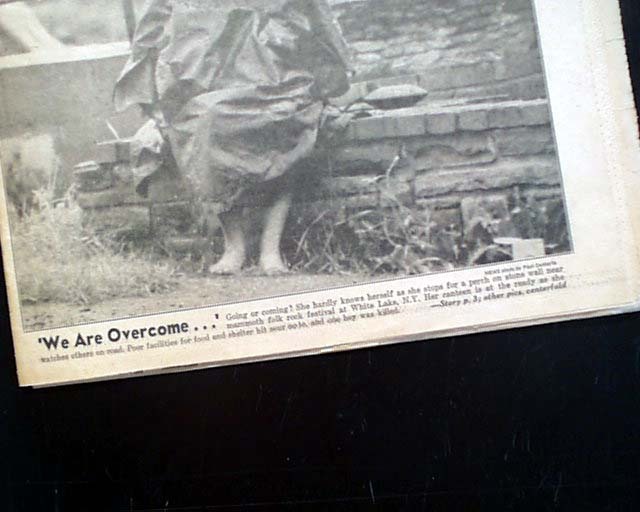 The complete "Home***" edition with all 40 pages, tabloid-size, minimal margin wear & a few discrete archival mends at margins of an unrelated page, generally nice condition.